I am in Brussels, and not knowing what to do on a Sunday afternoon I decided to waste a bit of money and a couple of hours by going to watch Anderlecht-Cercle Brugge. In a beautiful afternoon the match was not as boring as one would have expected. A good crowd and an attacking Anderlecht side created a good atmosphere. And early in the second half the locals were up 3-0 after three goals of the young Belgian Landry Dimata. The team also had a well-playing Honduran in Andy Najar and the young Pieter Gerkens, who made it 4-0. Far outplaying their counterparts and with half an hour left the Anderlecht defense decided to rest, and gave away two lame goals to the opposing side. 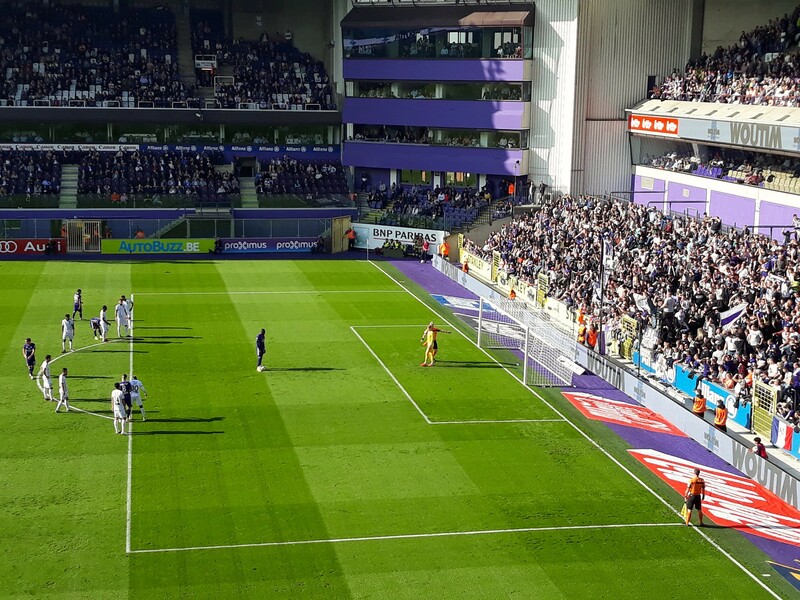 Despite some attacks, Anderlecht held on to 4-2, but one has to be worried about such concentration lapses if one is to face bigger sides, as Anderlecht indeed will, this coming week when they face Fenerbahce in the Europa League. In the end it was a match that quickly will be forgotten. And if I had been anywhere more interesting than Brussels, I would have found something else to do.